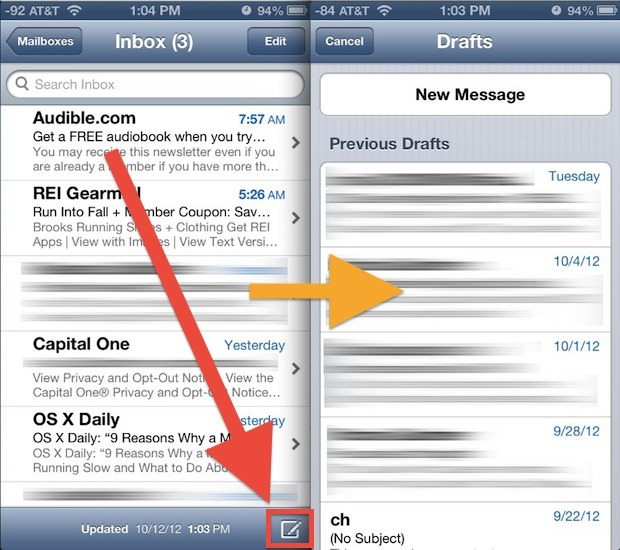 For most iOS users, if you need to access the Drafts folder, they will tap back from their Mail app inbox to Mailboxes, and then tap on Drafts to access any email drafts on an iPhone or iPad. But that’s not necessary, and there’s actually a super fast shortcut to access the Drafts folder of iOS Mail app with a simple tap-and-hold trick. 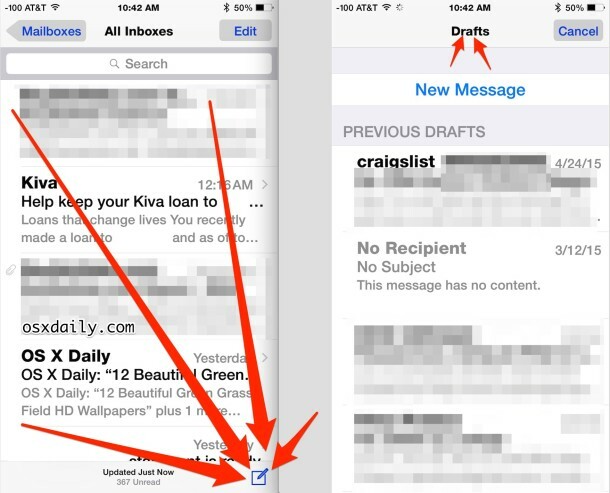 To quickly jump to a list of all Drafts in Mail app for iOS, all you need to do is tap and hold on the Compose icon in the primary Mail app mailbox screen. 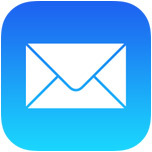 The little button to press and hold is in the lower right corner of Mail app. Doing so will present you with a list of all messages stored as drafts in the current mail account, and you can scroll down to access drafts saved far in the past. If you don’t see the message you’re looking for immediately, you can use the pull-to-refresh gesture to download the most recent ones from the mail server. Do note this is different from holding the Compose icon on previous versions of iOS, which jumped directly to the last saved draft instead. Now, with new releases, you will access the entire drafts folder. So useful! …but – has anyone figured out how to actually use drafts in iOS?? They are there, but I have never figured out how to actually edit and send from Drafts? Tap on the draft to open/edit it, then send as a normal email.